Between May to October our Komodo liveaboard “Ratu Pelangi” is the perfect way to properly discover the beauty of the Komodo National Park. She is a traditional phinisi boat, extensively renovated in 2018 and rebuilt into a scuba diving liveaboard. 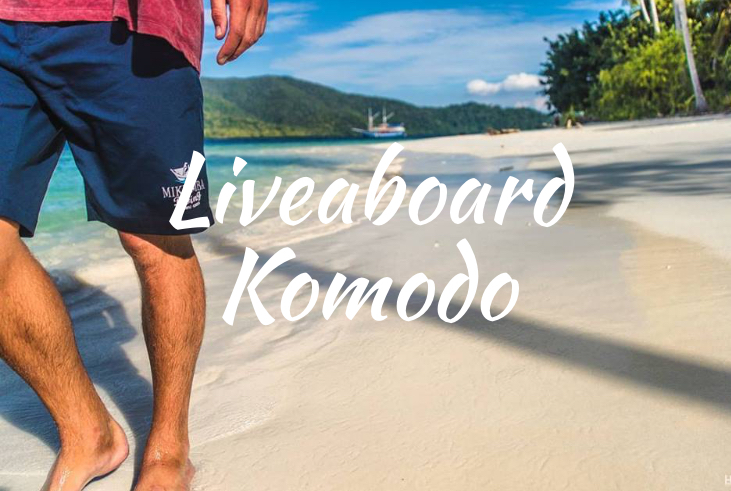 At Mikumba, we do more than just diving on our liveaboard trips – we also offer snorkelling, visit the famous Komodo dragons on Rinca Island, stop at deserted islands, watch the flying foxes at sunset, and trek to some of the best viewpoints in Komodo. Have a look at our boat page for more information and pictures. Insurance is mandatory on our liveaboard trips, and not included within your trip price. Guests must have their own travel insurance, personal dive insurance and trip cancellation insurance with no exclusions for Acts of God and Force Majeure events. You will not be permitted to join our liveaboard trips without presenting insurance information when you check in. Before booking please have a look at our Terms & Conditions. In 2019 we will start offering 1 night 2 day budget liveaboard / safaris in Komodo on our day trip boat, Nusantara. We have 10 mattresses so you can sleep on deck under the stars, ideal for those clear nights with a nice ocean breeze. Our schedule is flexible so contact us for more information or if you are a group of 4 – 6 you can make your own route! If you’re not sure where you’d like to go then tell us what you want to see and we will put an itinerary together for you. This can be for diving, snorkelling, island hopping, yoga sessions – whatever you like, let us know and we will see what we can do to make it happen. Please let us know if you’re interested in this and we can email you full details. We walk down to the harbour where our speedboat will pick us up at the jetty and take us to our home for the next few days. We start the trip by serving you a welcome drink as our trip leader introduces the boat crew and dive guides on-board. You then get a boat briefing while heading out to Komodo National Park, and we’ll show you to your cabin and around the rest of the boat. After the orientation we’ll set up your dive equipment, before gathering in the dining area again to continue with a safety briefing, then we brief you about the dive site where we’ll do our check dive. We normally go to a protected area for this, like Kanawa or Sabayur Kecil, but if your group are more experienced we can take you to Tatawa Besar if the current isn’t too crazy. We do a 2nd Dive in the Central of the Park and then head to Kalong to watch the famous flying foxes before cruising to Wainilu for our night dive. After diving we cruise back towards Labuan Bajo and relax on the comfy beanbags and complete log books. Please note this is a proposed itinerary only and we will assess weather and sea conditions during the trip to determine our actual route. We have a choice of 3 dives in the North or head back to Central to try and find the Mantas again. At some of the Komodo dive sites, the currents can be challenging, the water can vary from warm to quite cool and even the waves and surface currents can make these dive sites seem daunting. Our highly experienced guides choose dive sites, times and locations according to the experience level of the guests to make sure each dive is safe and suitable. We do mandate that every guest has recent diving experience (within the last year) before joining the Komodo liveaboard. If not, you will need to do a “scuba tune-up” or refresher. We can also easily do an Advanced Course with you whilst on the trip if you want to improve your skills. If you have dietary restrictions we must be notified of this before your arrival, however, due to our remote location and nature of the trips we can’t guarantee that they can be met. Where possible, we are happy to prepare meals with food that is brought on to the boat and we recommend purchasing this in Bali or from back home as you may not find what you need in Labuan Bajo. If someone suffers from severe allergies or conditions we strongly urge you to reconsider joining these trips or making sure you have adequate treatment with you. The medical facilities here are minimal and evacuation to the nearest major hospital (Bali) can take 12-24 hours in good conditions. Although we hope we never need to use it, diving in Komodo has just gotten safer with a brand new recompression chamber that has recently opened in Labuan Bajo. The dorm sleeps 6 people comfortably in bunkbeds with aircon. The twin cabins have 2 beds with aircon. For more photos of our boat please look at the Ratu Pelangi page.